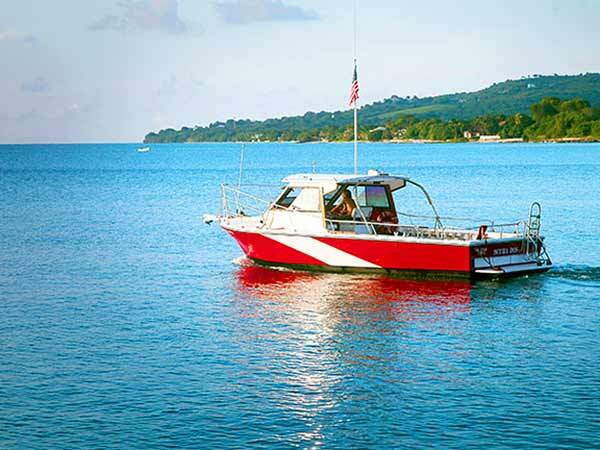 We have two custom dive boats for you to choose from and we highly recommend diving from both of them to experience the diversity of the scuba diving found around St. Croix. 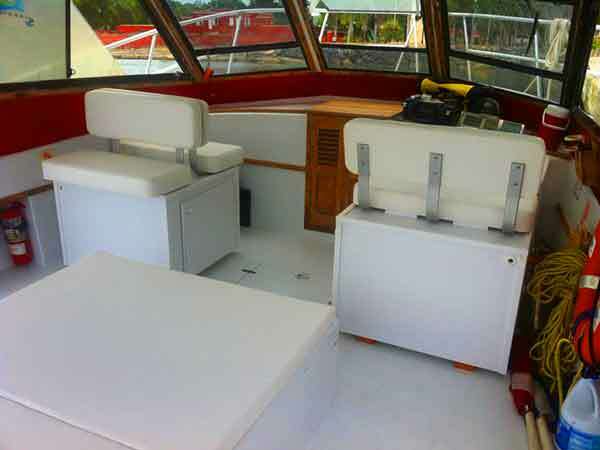 While our boats are two of the largest ones on the island, we greatly limit the number of divers we take on each to ensure that all of our guests receive the personalized service for which we've become known. 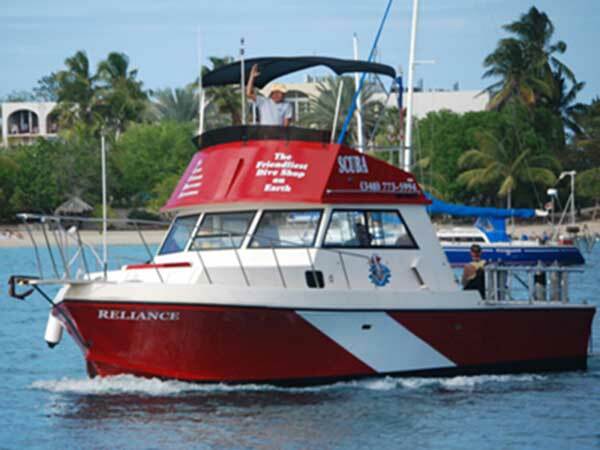 Our Northshore Dive Boat Reliance - dives the walls and reefs. 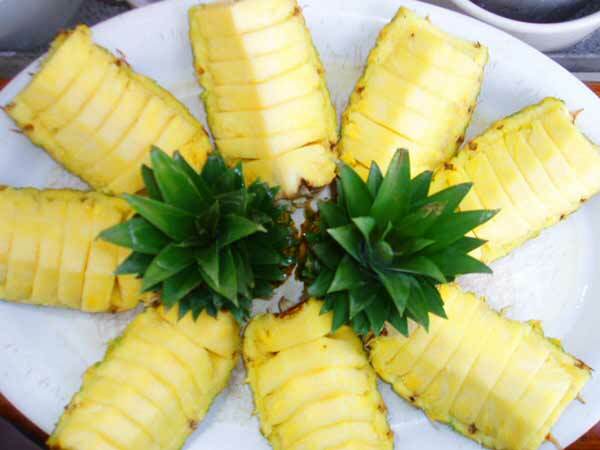 Our famous pineapple served between dives on both boats. Bottled water too! 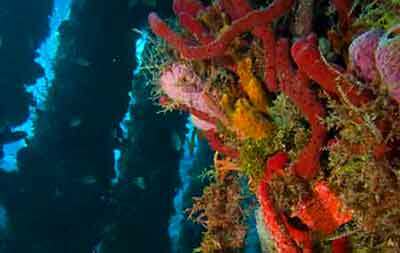 Our entire northshore is a wall that drops over 13,000 feet and is vertical in places. An amazing sight. 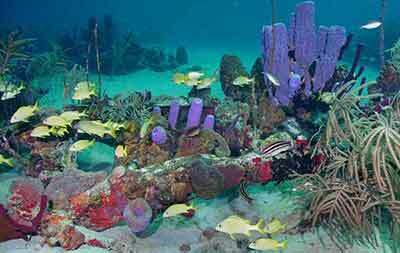 The largest living reef of any Caribbean island surrounds St. Croix and it is in excellent shape. 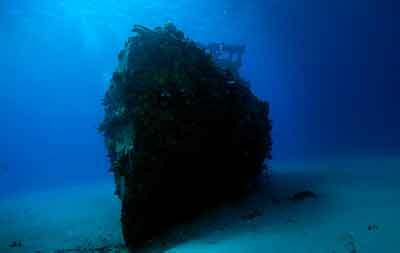 Five shipwrecks within 100 yards of each other means you can dive two to three wrecks on the same dive. 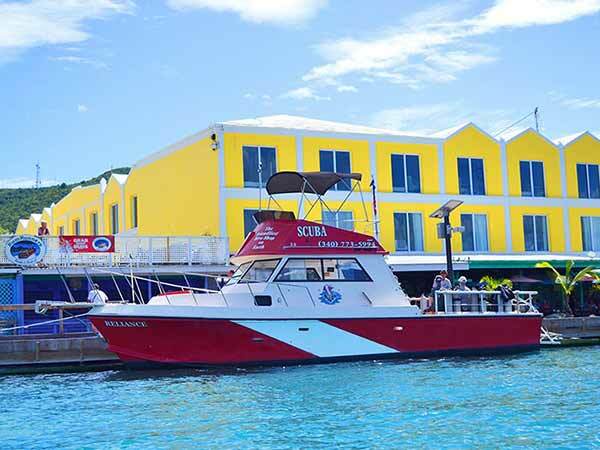 A wonderful dive during the day and absolutely fantastic at night. 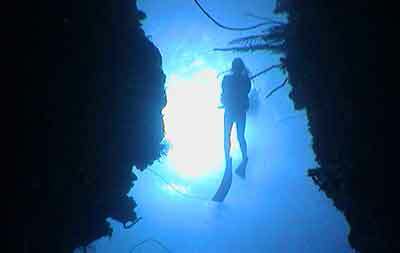 A perfect first time night dive.